Ever since the robber barons stalked the earth and Balzac expostulated that “behind every great fortune is a crime,” the media has attacked Wall Street, Madison Avenue, and anything to do with corporations. In the latest Gallup poll on the trustworthiness of various professions, business executives come out little better than lawyers and used-car salesmen, far below the ethical standings of medical doctors, engineers, and police officers. We tend to regard capitalism in these cynical times as the worst economic system, except for all the others. 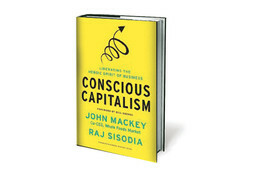 By contrast, in Conscious Capitalism, Whole Foods Market Co-CEO John Mackey and Bentley College marketing professor Raj Sisodia put forward what could be the most ambitious, indeed revolutionary, model for capitalism ever conceived. Had their application of higher consciousness been in the boardroom a generation ago, we might have avoided the suffocating regulations of Sarbanes-Oxley and Dodd-Frank, and the dire straits of companies like General Motors, Sears, Citibank, and even Enron. Although they call free enterprise the source of “unprecedented prosperity for humanity,” they challenge the two celebrity philosophers of capitalism, Ayn Rand and Milton Friedman. They reject the Randian notion that “selfishness” and “greed” are virtues, and deny the Friedman view that the only responsibility of capitalism is to maximize profits for its shareholders. 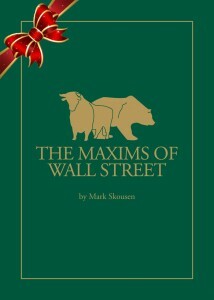 Maxims of Wall Street — New Book Now Available! Attention all investors, subscribers, stockbrokers and money managers! “Maxims” is destined to be a classic reference that you will read with delight for years to come, and an ideal gift to investors, stockbrokers and money managers. 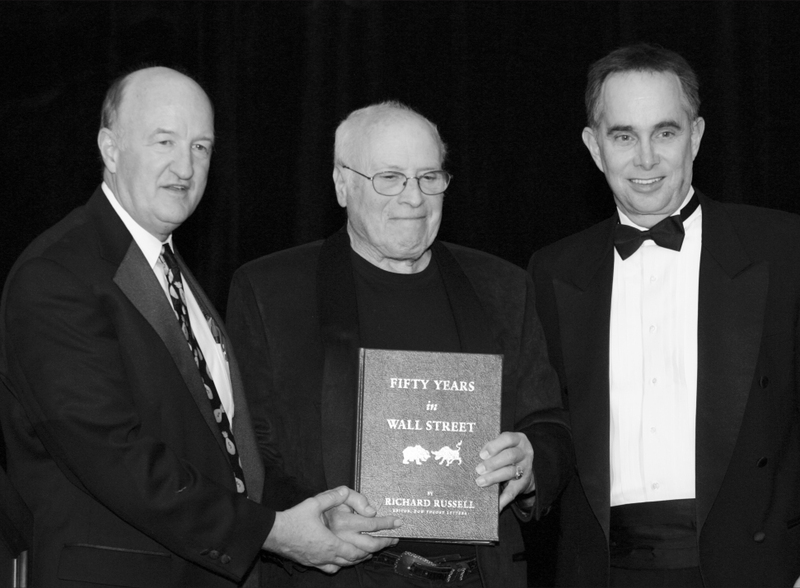 Over 800 adages, by such notables as Warren Buffett (“If you wait to see the Robin sing, Spring may be over”)….J. P. Morgan (“Troubled waters make for good fishing”)….Humphrey Neill (“The public is right during the trends but wrong at both ends”)….Richard Russell (“In a bear market, the winner is he who loses the least”)….and Steve Forbes (“Everybody is a long-term investor until the market goes down”). Famous lines from Baron Rothschild, Ben Franklin, John D. Rockefeller, Joe Kennedy, J. P. Morgan, Bernard Baruch, John Templeton, Jesse Livermore, John Maynard Keynes, Ben Graham…. When you call, mention code MAXIMH. And be sure to mention your favorite number. 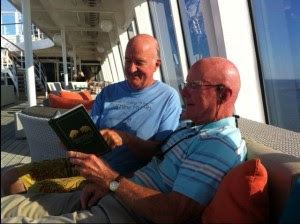 IMPORTANT NOTE: “MAXIMS” IS NOT AVAILABLE IN BOOKSTORES OR AMAZON.COM. You can only order this book through my publisher, Eagle Publishing, 1-800-211-7661. P. S. I will be giving my first talk on “Maxims of Wall Street” at FreedomFest, followed by an autograph session. We are expecting over 2,000 attendees, so I urge you to join us now by going to www.freedomfest.com or calling 1-866-266-5101.